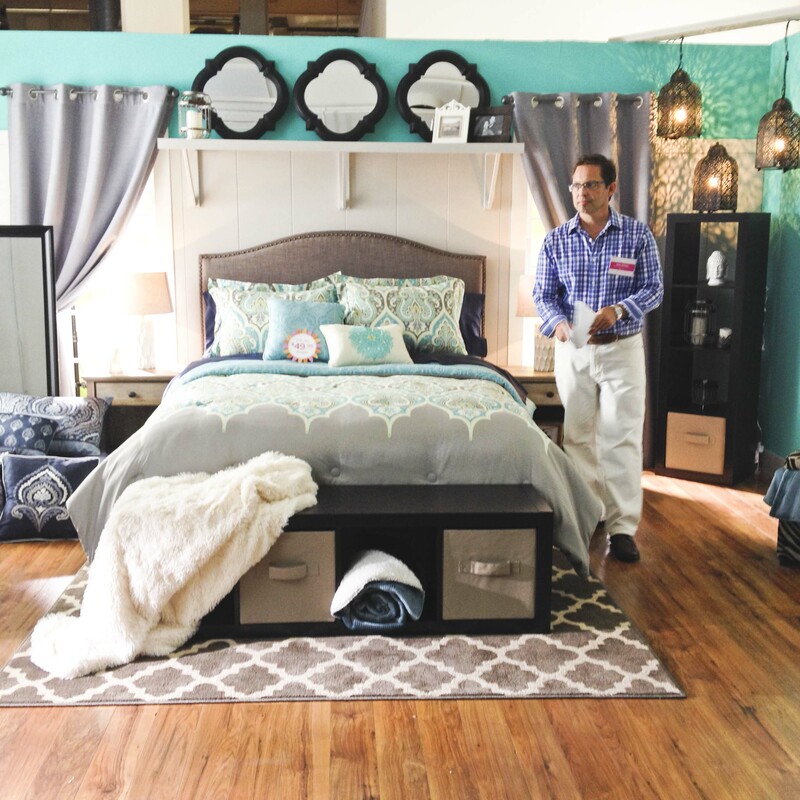 Back in May, I worked with Better Homes and Gardens to do my Master Bedroom Makeover. Shortly after that, I received an email that made me SO excited. 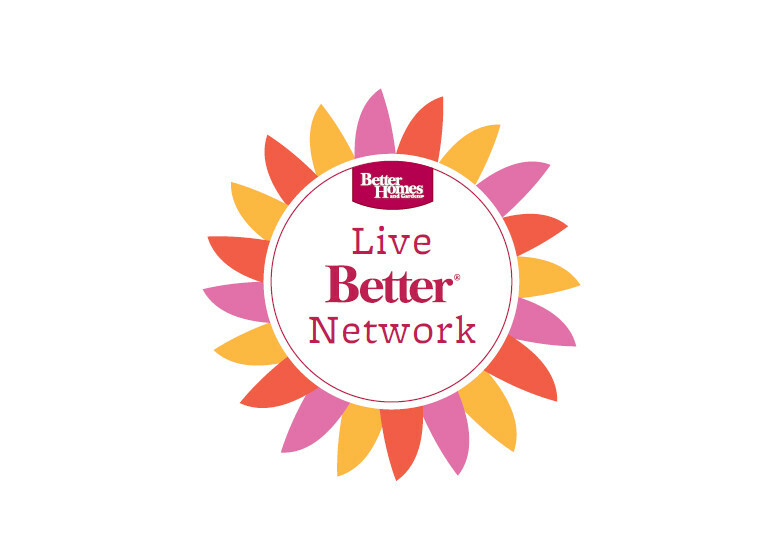 They were inviting little ole me to be a part of their Live Better Blogger Network! This means I get to work with BHG for the next year, creating inspiring projects and spaces with their amazing BHG at Walmart products. 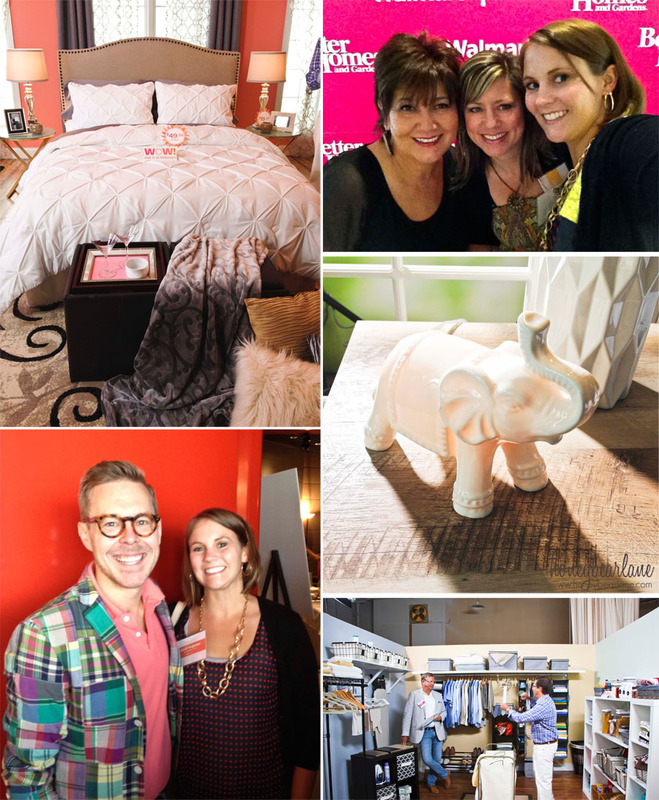 We kicked off the year by getting to visit their headquarters in Des Moines, Iowa and attend the Better Homes and Gardens Style Showcase. So fun, right?! It was amazing to get to see the goings-on of the Meredith headquarters. 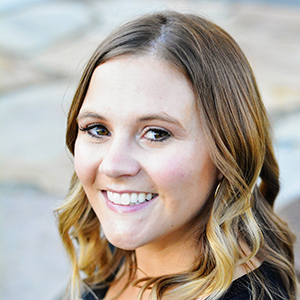 Meredith publishes Better Homes and Gardens but also has hundreds of other publications. But Des Moines is where BHG is. It was such a cute city, I think it would be an amazing place to live actually. And everyone was just so nice and personable. I was thrilled to get to be with 24 other amazing bloggers–some of whom I already know and some of whom I was super excited to meet for the first time. We arrived at the BHG headquarters on Thursday morning for a packed day of learning. We had a nice breakfast, and then were greeted by the company. They had laid out many of their new items for 2014-2015 in beautiful arrangements and displays. The designers talked about the products and then the Walmart people shared the affordable pricing. Afterwards, we perused the items up close. After the opening session, we broke into three groups for classes. Our first class was with Eddie Ross–yes THE Eddie Ross, famed designer for Better Homes and Gardens. He was so great and showed us so many ways to use the BHG at Walmart products outside the box or put our own personal stamp on it. The next class was with Max, another designer. He showed us the different sets they use for photo shoots, with the beautiful products and most were labeled with price tags. Most of us don’t live on designer budgets, so it was always a shock to see how incredibly affordable these beautiful designer items are–which also made us very excited! The photo area was awesome…they really create these Hollywood-esque sets just like a beautiful house. The kitchen area was spread with all their adorable fall and Christmas dinnerware which made me eager to go purchase it. I fell in love with a fox cookie jar. I’m just really into foxes right now. And the owl was adorable too. 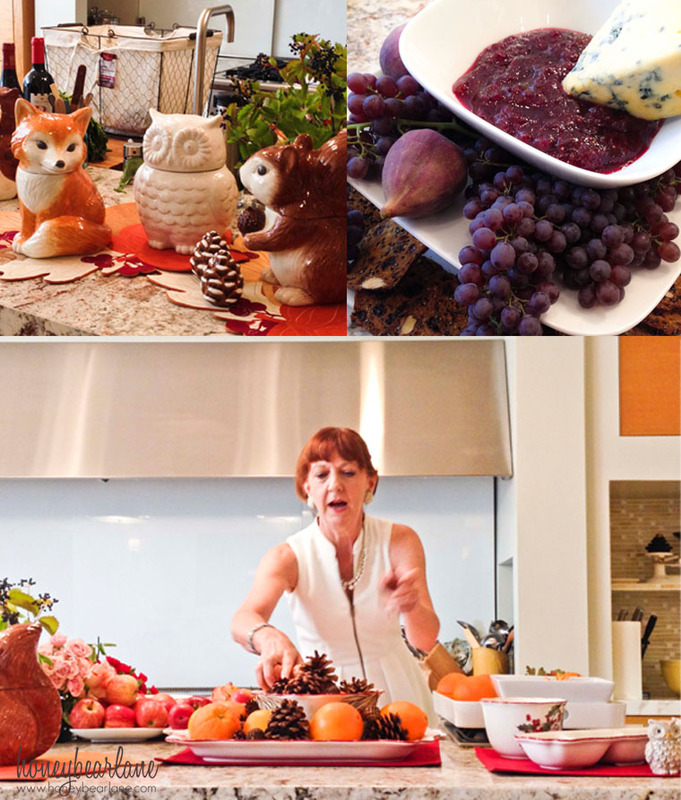 Nancy said, “Every kitchen needs a pop of owl.” She demonstrated how easy it was to make these versatile holiday centerpieces without purchasing a lot of expensive items. After lunch (which was this delicious bbq and salad spread and I ate too much), we had a tour of the building. 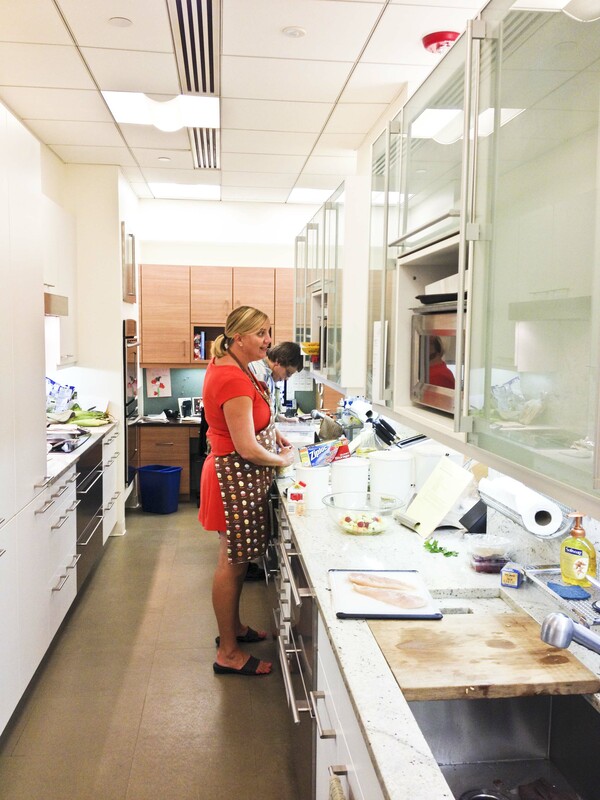 We saw the test kitchens, many little kitchens where the chefs of BHG come up with recipes and test them several times. 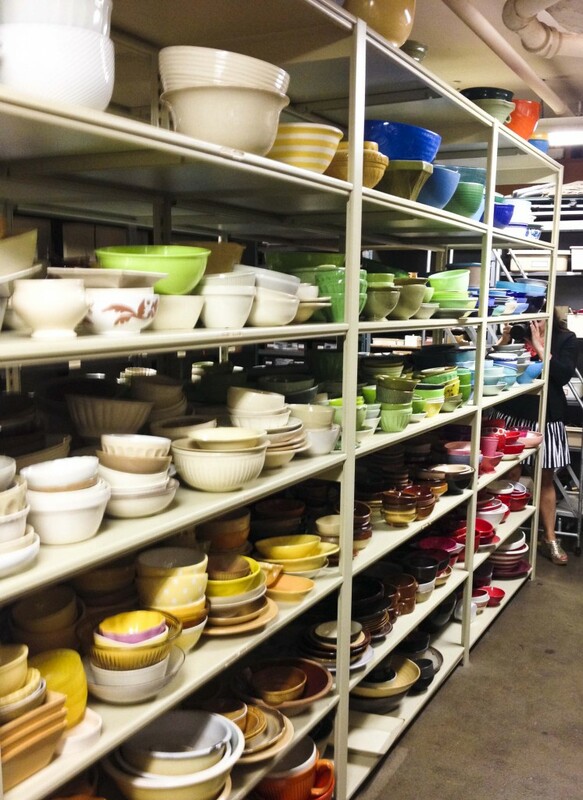 We saw their prop room which had possibly every single dish you could possibly want for a photo shoot. We saw where they build the sets. Can you spot Centsational Girl? 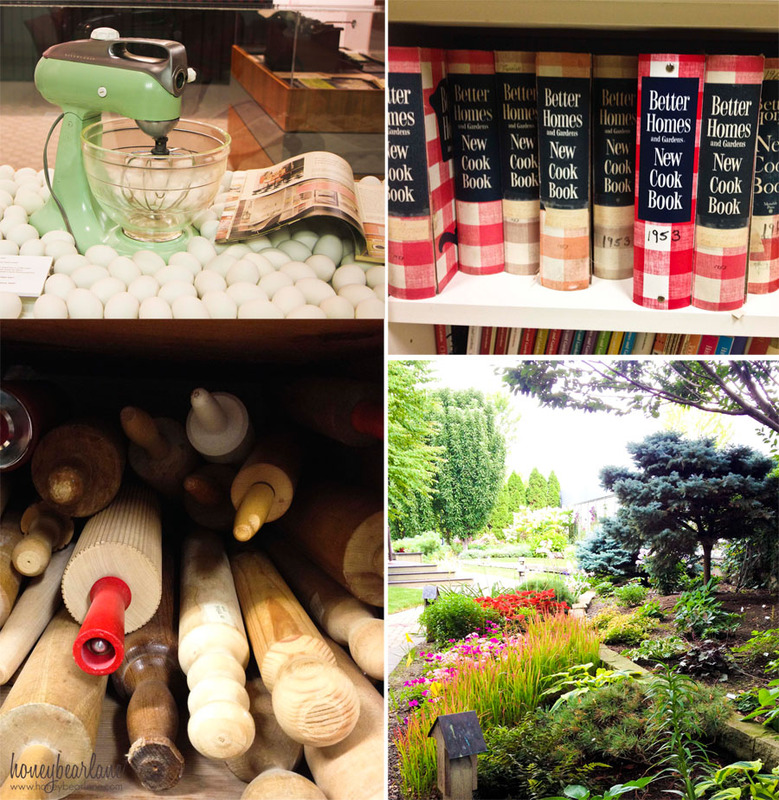 We saw the beautiful BHG gardens. They were really fantastic and very well-kept. I was also impressed by the BHG at Walmart outdoor furniture, including this BBQ pergola–makes grilling nice and cool! After the tour, we met together again for a wrap-up meeting and some photos. That evening, we went to the Iowa State Fair. It’s world-famous y’all! We ate lots of fried food (included fried Oreos! ), sat on a giant Adirondack chair, saw the giant America Gothic statue, and of course saw the giant butter sculptures. Lots of fun with blogger friends and BHG friends. And by the time we got back to the hotel, I was exhausted! Now that I’m back, my head is busy thinking of all the ideas I can do with the BHG at Walmart products. They are very versatile and just so cute. I’m excited to do some projects! To catch sneak peaks of the super cute BHG at Walmart products, go follow BHG Live Better on Facebook and Pinterest! I’m part of the BHG Live Better Blogger Network; this post was sponsored by BHG at Walmart. All opinions are my own. 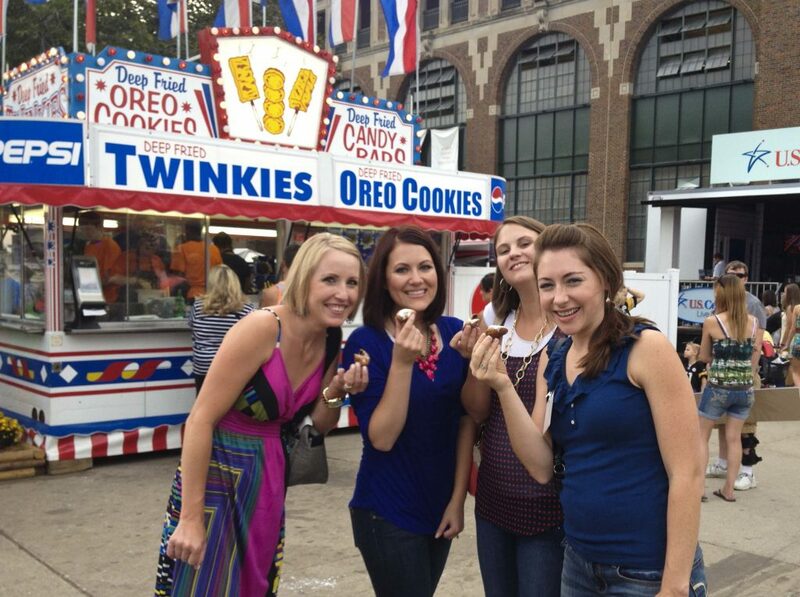 I’m still disappointed that I missed the fried oreos…I should have enjoyed one BEFORE the Ring of Fire. I love how Max styled items to give them a designer look for less! Congrats Heidi, this will be fun to follow can’t wait to see what you come up with. What an amazing opportunity, can’t wait to see what you come up with!! You’re so talented! !